It has been a few days since India's disappointing exit at the Asian Cup 2019 in UAE. 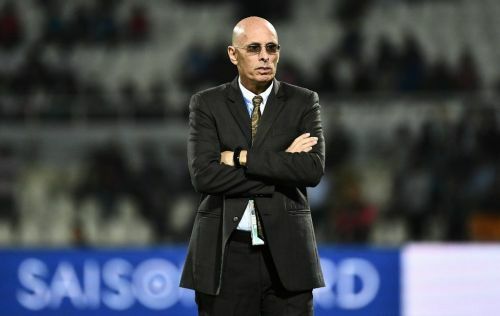 A 0-1 loss to Bahrain knocked the Indian national football team out of the competition and that was followed by the unceremonial resignation of the head coach Stephen Constantine at the post-match press conference. There's no denying that Constantine was a controversial figure in Indian football. Since he took charge for the second time in 2015, Constantine has had his share of run-ins with the players, federation and media. India's first task under Constantine was to do well in the 2018 FIFA World Cup qualifiers but the team managed to only finish one spot above the bottom of the group, even losing a winnable match away 2-1 in Guam. Constantine's revised objective was to ensure India qualified for the Asian Cup 2019 and given that the tournament's final stages were thrown open to 24 teams, the task was doable. The Brit managed to achieve that in spectacular fashion and those were the best days of his stint with the national team. 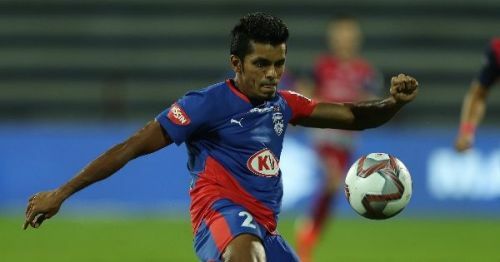 He oversaw a 13-match unbeaten run and the Blue Tigers, led by Sunil Chhetri, booked their spot in the tournament with a game to spare. And here, we list out 5 things that Constantine could have done better during his tenure. There are two sides to this story. Constantine always made it a point to bring up the number of players he has handed debuts to - the number stands at a staggering 47. Sure, yes. That's pretty good. However, Constantine never answers why he ignores a certain set of players who, according to him, do not adhere to his playing philosophy. The names that were brought up over the years include Rahul Bheke, Michael Soosairaj, Lallianzuala Chhangte and Souvik Chakrabarti. Chhangte has been called up a couple of times but missed out for a large part of Constantine's tenure. The other three, despite performing consistently well for their clubs over the last two years, have even been called up to the national camp. Constantine did not deem them good enough to at least see them in the national team camp. The coach appears to have had his own presumptions about these players even without calling them up. And quite expectedly, the argument that supports his decision to not call these players is that Constantine has his system and core set up already and it's not a risk worth taking before an important tournament like the Asian Cup. It doesn't explain why the likes of Sumeet Passi, Sarthak Golui and Narayan Das continue to receive calls up to the national team despite faring poorly for their clubs. That's the reason Constantine's selections have always come under criticism and this is one area that really hampered India's progress at the Asian Cup. If he had a better pool of players to choose from, he could have brought in better substitutes to help India get that draw against Bahrain. Next slide - How did Constantine handle the media?